3.588ct K-VVS2 Canera European Round OEC Diamond. 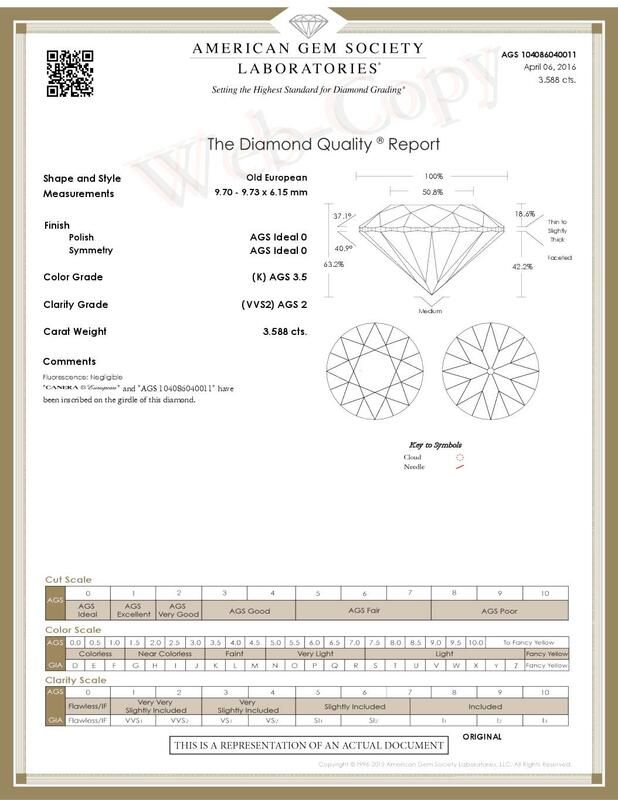 3.588 Carat K Color VVS2 Clarity OEC Round Old European Cut Diamond. A precision cut Old European Cut diamond with superior light performance and symmetry.